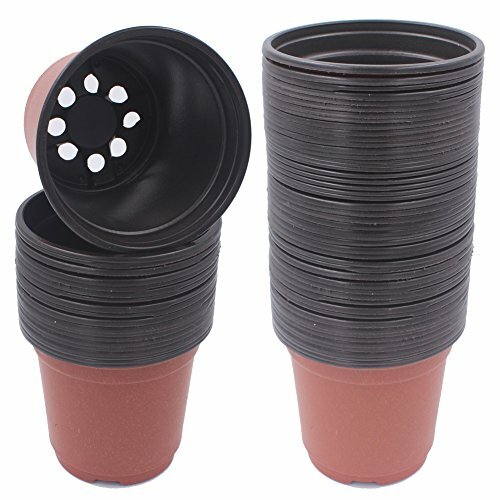 ZICOME Plastic Seedlings Starter Nursery Pots for Starting Seeds Transplanting Plants, 4-Inch (100 Pack) by ZICOME at Tulips Orchids. Hurry! Limited time offer. Offer valid only while supplies last. If you have any questions about this product by ZICOME, contact us by completing and submitting the form below. If you are looking for a specif part number, please include it with your message. Orchid Pot and Tray, Translucent Blue, 4.5"
SOFT POTS (15 GALLON) BEST FABRIC AERATION GARDEN POTS FROM MAUI MIKE'S. THICKER FABRIC AND SEWN HANDLES FOR EASY MOVING. GROW BIGGER AND HEALTHIER TOMATOES, VEGGIES AND HERBS IN SOFT POTS.